Some of the works on display in this retrospective are your regular ‘glamorous photo-shoot type’ photos – particularly when it comes to Sedgwick – and this is a bit disappointing. His poignant photographs of members of The Velvet Undergound sprawled on couches, or Warhol sitting alone in the empty factory are the images for me – the ones where you feel as though you too have just walked into that room and caught the scene as it played out. The picture of Warhol sitting alone in the Factory in front of the type writer, silver foil drooping from the ceiling, suggesting some wondrously decaying glamour particularly appealed to me. Not only does it give me an unsettlingly voyeuristic pleasure (as all my favourite photographs do) but it also provides a rather different perspective on the Warhol story than those normally available. For once Warhol is not surrounded by the hundreds of freaks and films stars who provided a helpful distraction from the man himself the rest of the time. Unlike so many shots I have seen from the factory there is no chaos, no bright lights and crowds- none of the Warhol accessories which so often cluttered up his life. There is only the man himself sitting in this empty room staring at the typewriter in reflection. For me that is the best photograph of Warhol I have ever seen. Finkelstein’s death last year at the age of 76 makes this exhibition particularly important, presenting a diverse portfolio of his work in and outside the Factory. While his Warhol and Co pictures certainly make up the majority of the exhibition you can also find some good stuff concentrating on civil rights protests and New York subcultures in the 80s and 90s. 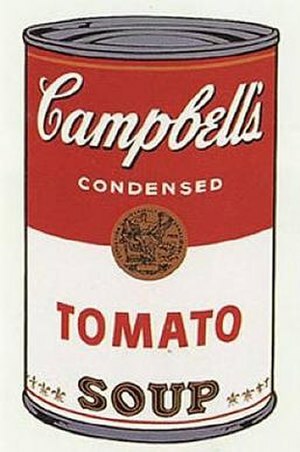 It’s compelling stuff and well worth a visit whether you are into the Warhol thing or not. But for those who do take an interest in the man and his life this is essential viewing.